it was being weird til I rebooted my comp but have been itching to do digital. 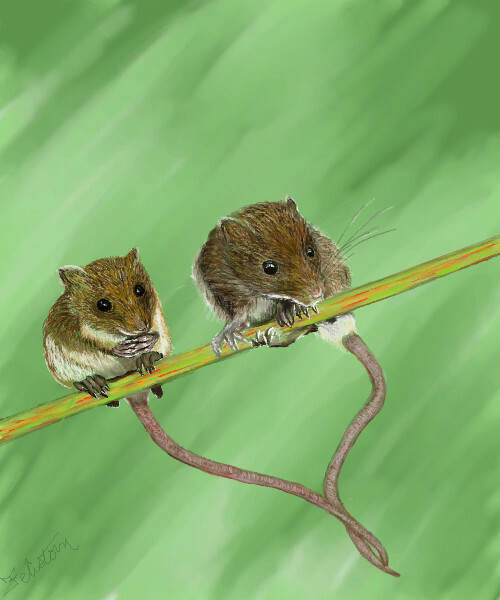 Photo ref I believe a national geographic kids mag not sure photo was ripped out LOL Reversed the positions of the mice and they are also a bit different otherwise. calling it done for now mostly because want to move on to something else. AdorAble!!!!! Great work on the fur! !